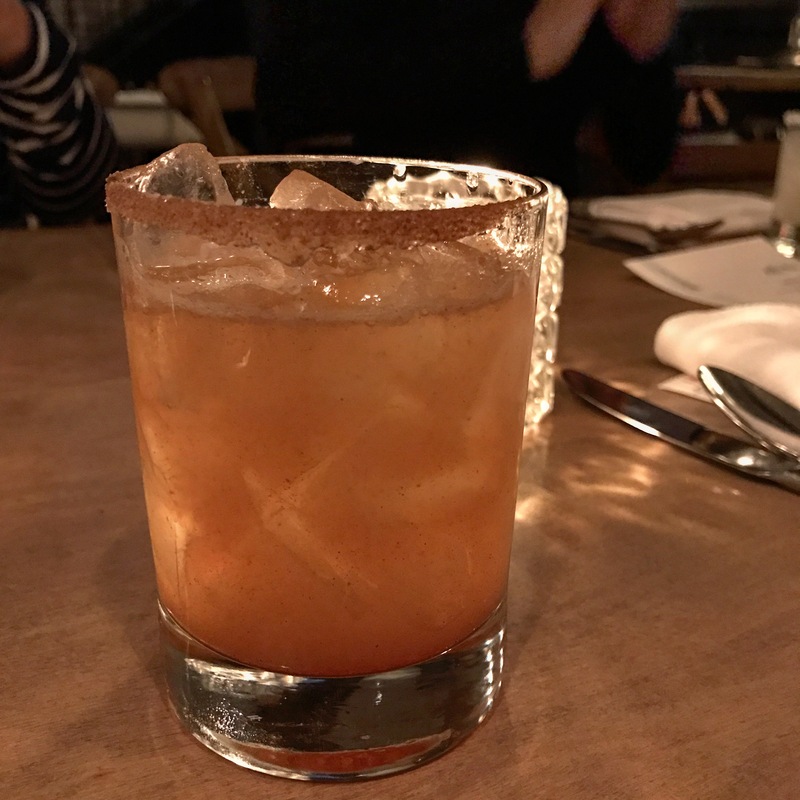 The best twist on a mezcalgarita I’ve had in awhile is the Zakko Churro cocktail. 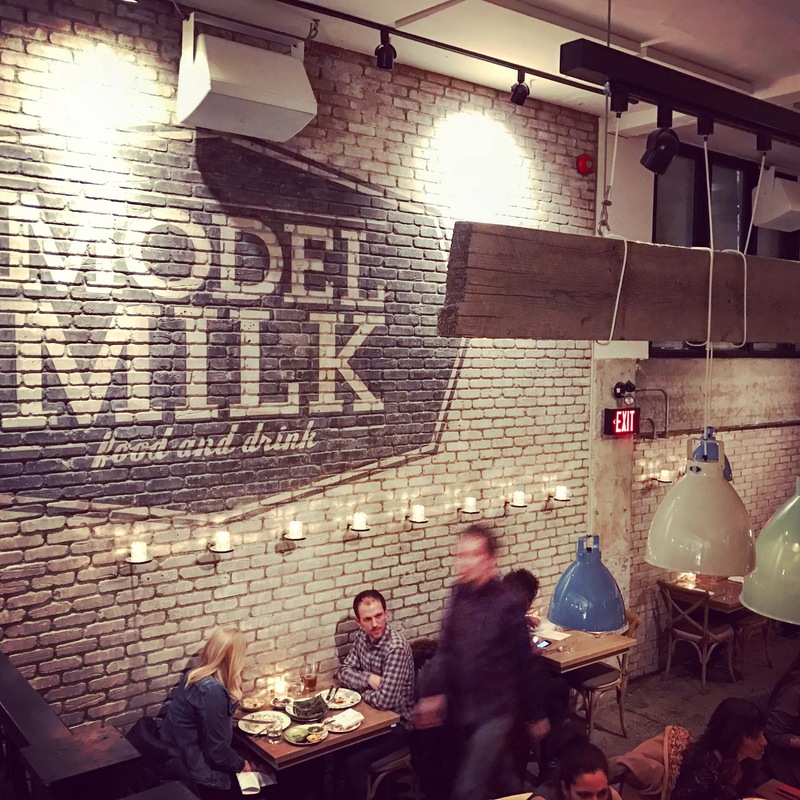 I discovered it at Model Milk during their weekly Sunday Supper. It was created to reflect last week’s theme: Mexican food. Model Milk hosts a Sunday Supper with a different theme each week. It costs $40 per person and includes starters, main and dessert. Imagine combining a margarita with the sweet cinnamon goodness of a churro, then adding a smoky hit, and you’ve got the Zakko Churro, so named for its inventor, Zakk MacDonald, and its muse, a churro. It features mezcal instead of tequila (hence the smoky flavour), pear liqueur rather than triple sec for a fruity taste of winter, lime juice and just a dollop of cinnamon syrup. Delicious! Smoky mezcal, lime juice, pear liqueur and cinnamon syrup turn into a liquid churro at Model Milk. Method: Rim a rocks glass with cinnamon-sugar, set aside. Combine ingredients in a cocktail shaker and shake with ice. Strain over fresh ice into the rocks glass. Method: Combine sugar and water in a sauce pan and heat until sugar is dissolved. Add cinnamon stick and simmer for five minutes. Remove from heat and let cool. Remove cinnamon stick and store syrup in the fridge. This entry was posted in Cocktails and tagged churro cocktail, mezcal cocktails, Model Milk cocktails, Zakko Churro. Bookmark the permalink.